On Wednesday, April 22, election officials will start the process of opening 2872 ballot boxes from the department of San Salvador to re-count ballots vote by vote to determine the 24 seats in the National Assembly from San Salvador. The election originally took place on March 1. The recount was ordered by the Constitutional Chamber of El Salvador's Supreme Court. The court found that there were sufficient irregularities in the vote tally sheets from San Salvador that the only remedy was to examine all of the individual ballots from the country's largest department. The recount process may take a few weeks. Because the balance of power was evenly split based in the initial vote count, this recount still has the possibility of changing who controls the majority in the National Assembly. El Salvador's longest, most complicated election process continues on. There has been a war going on in El Salvador for many years involving El Salvador's gangs. The Mara Salvatrucha, the Barrio 18 and smaller gangs ruthlessly kill each other's members over territory, in retribution, or just for being in the wrong place at the wrong time. In 2012, the so-called "tregua" or truce among these gangs dramatically lowered the levels of killing until the truce dissolved in 2014. 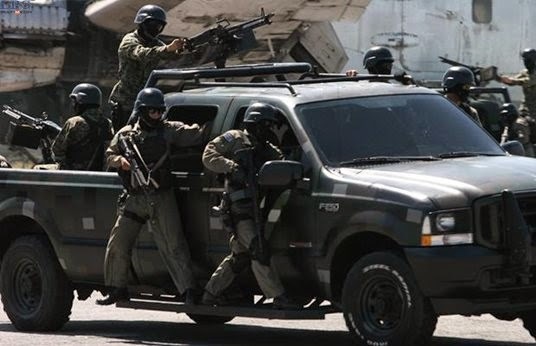 Now the war seems to be taking a dangerous turn with El Salvador's armed forces going on a combat footing. The gangs are still warring with each other, but now the armed forces appear to be transitioning from patrolling the streets in dangerous parts of the country to active missions. 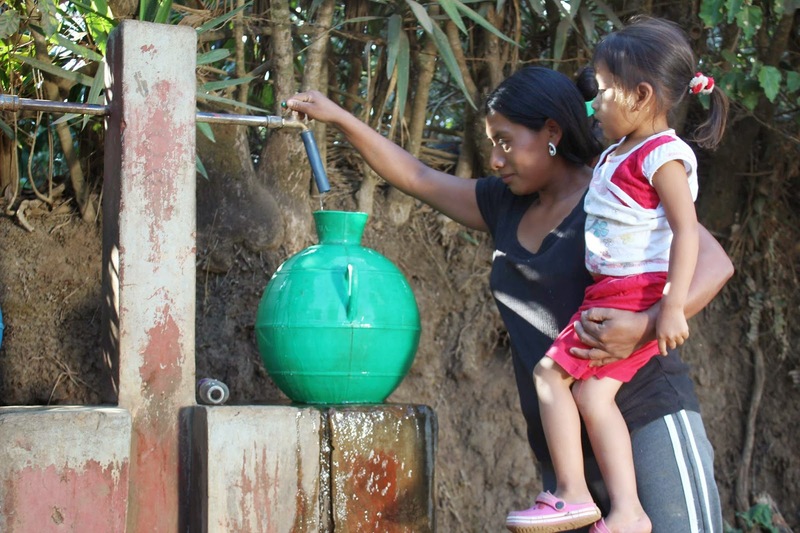 This month has seen concerted and united effort by environmental and human rights groups in El Salvador to pass a constitutional reform to declare water and adequate food as basic human rights. 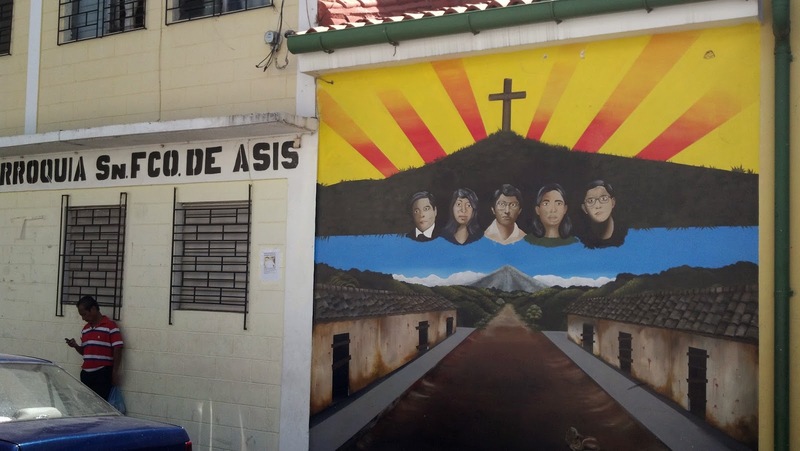 The amendment to El Salvador's constitution must be passed before the current legislative session ends on April 30, or the effort must start over. Former General Eugenio Vides Casanova was deported this week from the US, and arrived in El Salvador on a plane full of other Salvadorans who US authorities were deporting. An article today in The Independent describes the legal proceedings in the US, which led to the former general's inglorious return to El Salvador after living in the US since 1989. He will be able to live freely in El Salvador, protected by a 1993 Amnesty Law which blocked prosecutions for crimes committed during El Salvador's civil war. Groups of protesters, representing victims of human rights abuses committed by troops under Vides Casanova's command, were at the airport to denounce ongoing impunity in El Salvador. In El Salvador, with its culture deeply rooted in Roman Catholicism, each Good Friday sees processions and religious events commemorating the crucifixion and death of Jesus Christ. Here are a collection of images and links to media galleries sharing sights from around the country. Gallery of images from Nahuizalco at Diario1.com. Good Friday ends with processions of the Holy Burial, commemorating the burial of Jesus in the tomb after he is taken down from the cross. The following post is being reprinted from the website of InsightCrime. El Salvador reported more homicides in March than in any other month over the past 10 years, a high-water mark for violence in an evolving criminal dynamic that is taking on overtones of a low intensity war. El Salvador's National Civil Police (PNC) registered 481 homicides during the month of March, for an average rate of 16 murders per day,according to La Prensa Grafica. The previous record for murders during the last 10 years was in October 2009, when the PNC recorded 437. El Salvador's homicide figures during the past month represent a 52 percent increase from March 2014. At that time, former director of the PNC, Rigoberto Pleites, told Salvadoran media the country's 2012 gang truce was "technically finished" due to the rising number of homicides.